Patrons to Slyman’s are willing to stand in long lines for what Esquire donned the best corned beef sandwich in America. Located in Clevland, Slyman’s has gained notoriety for being host to Rachael Ray, American Idol contestant Jason Castro, and George W. Bush. 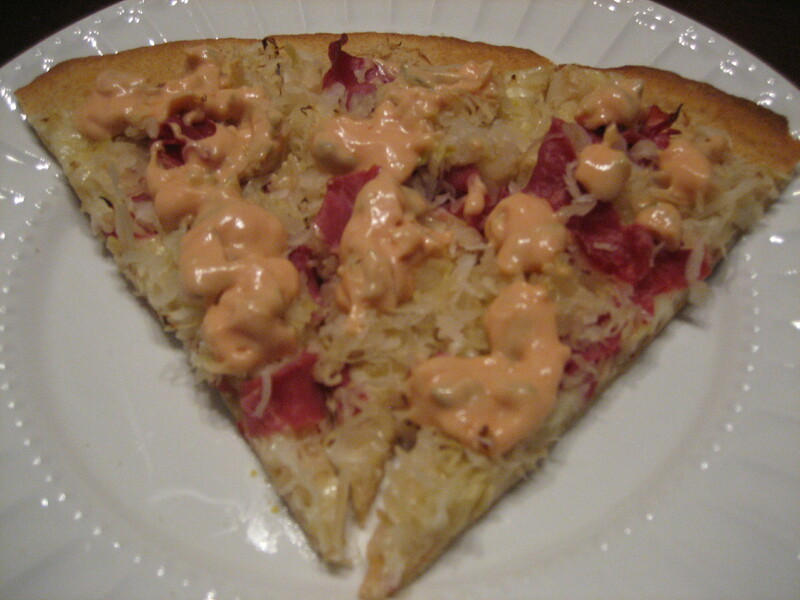 The most famous sandwich on the menu is their Reuben, so I decided to turn it into my own Reuben pizza recipe. Traditionally, a Reuben sandwich is served on rye bread. Rather than altering my recipe I decided to go with my standard dough recipe. First, I spread sliced swiss cheese over the pre-baked dough. Then, I laid on corned beef and sprinkled on sauerkraut. While the pizza was baking I prepared my own Thousand Island dressing by mixing mayonnaise, ketchup, chopped pickles and a dash of hot sauce for a kick. Once out of the oven and sliced, I drizzled on some of the dressing and bit into Reuben heaven. 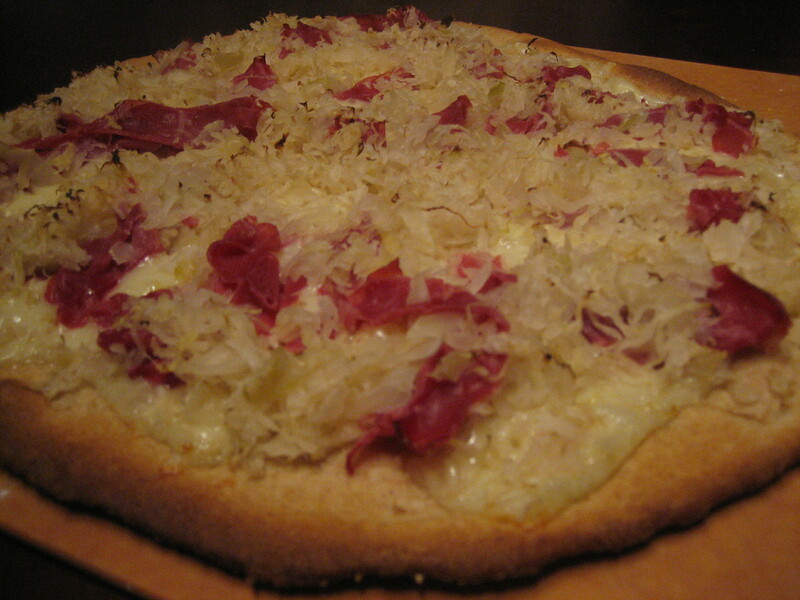 My Reuben pizza recipe was fantastic! The flavor was exactly how I thought a Reuben should taste, even without the rye bread. Next time we drive through Cleveland we’ll have to stop into Slyman’s to see how my Reuben pizza compares to the their famous Reuben sandwich.